The West Coast has some of the best food in the country and more recently some of the best juice bars too. You may think juice bars are basic but really they’re a great easy way to get all of your daily vitamins and nutrients in a tasty and delicious way. Since you can easily find a juice bar wherever you are along the West Coast, I thought I’d narrow down the choices for you, especially since not all juice bars are not the same. With so many options, here are the must-try juice bars on the West Coast of the USA. 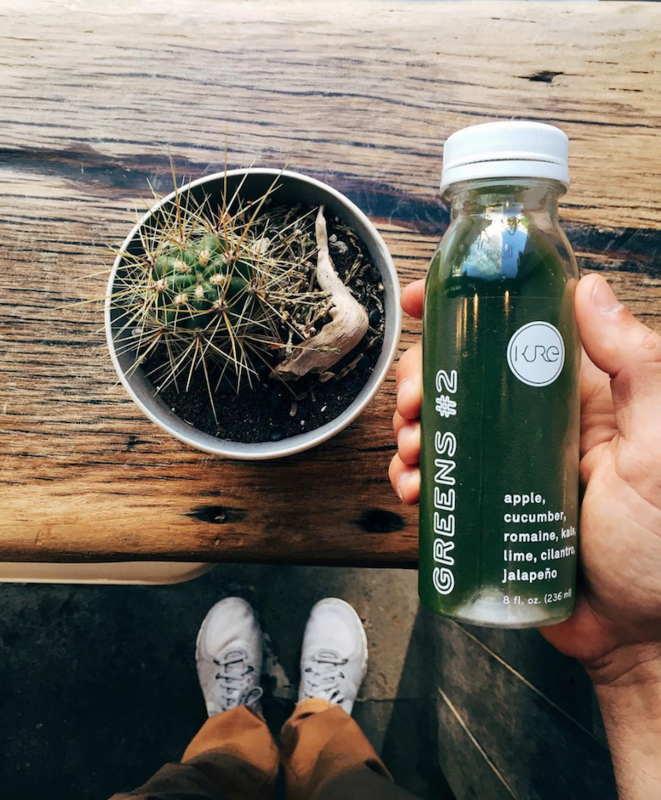 This stylish Venice juice bar is a must-try if you’re in SoCal. 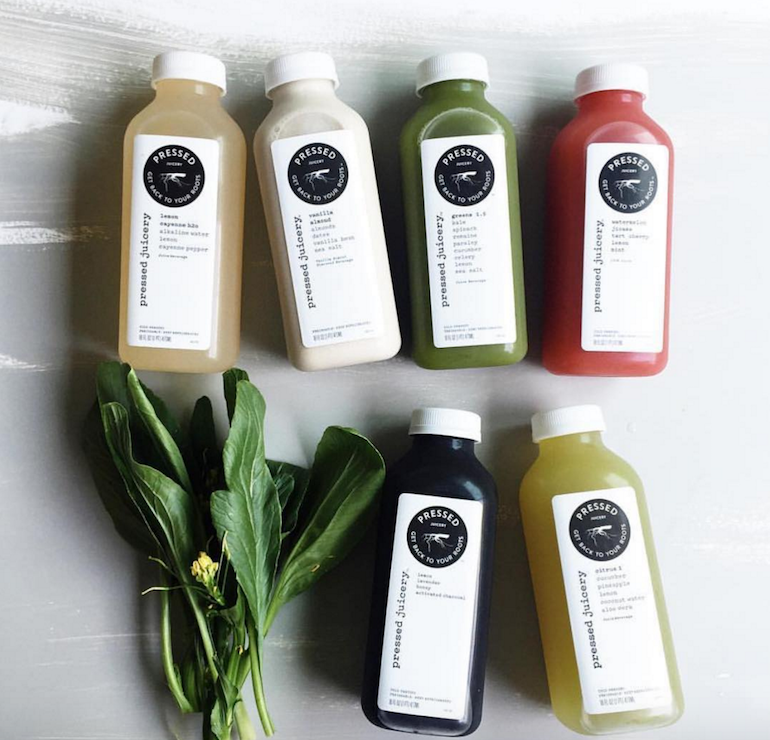 Their cold-pressed juices come in an array of unique flavors and each aim to provide your body with specific benefits such as alkalization, bone strength, detoxification or immunization. You must pick up their Goodness Greens, Beauty Nectar or Blue Moon Water. Go beyond Moon Juice’s fresh juice and try their line of famous “dust.” These jars of dried herbs were created with the help of a trusted herbalist (and Gwyneth Paltrow swears by them). Simply add the dust to smoothies or even warm water to reap the benefits of the dust’s intended therapeutic effect. #SpoonTip: Pick up Moon Juice’s cookbook, coming out this fall, so you can incorporate Moon Juice into your daily life. If you’re looking for the freshest juice around you’ve come to the right place. All of Kreation’s juices are made from Farmer’s Market Certified Organic fruits and veggies that are locally purchased in Santa Monica. This ensures that the greatest amounts of vitamins and minerals are packed into every juice to help nourish your body. Kreations 18 different cold pressed juices, offered in flavors ranging from Green 1 to Relax or Distress, are never high pressured nor pasteurized. Wanna step up your juice game? You have gotta try one of Kreation’s 4 juicekriptions. These juice and superfood syringe shots not only taste amazing but are sure to give your body the extra boost it needs. #SpoonTip: Looking to see some of the rich and famous? Kreation is a celeb hot-spot. At Zoe’s, you can expect raw, cold-pressed, fresh juice’s that are jam-packed with nutrients and flavor. Their juices, which include flavors like the Oly Farmacy and Evergreen, are made only with non-GMO fruits and vegetables. 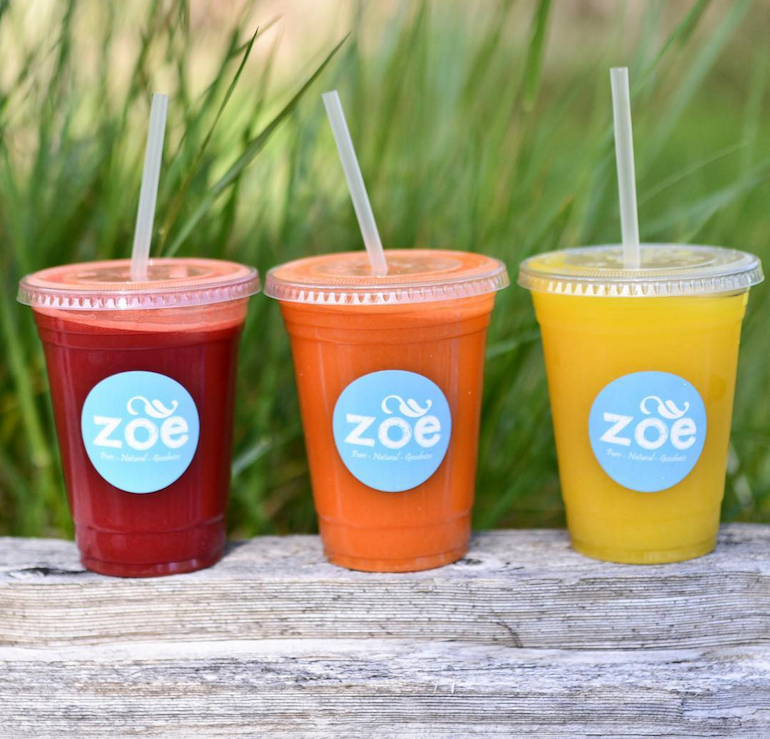 Zoe’s never adds water to any of their juices so you can be confident you’re getting the best of the best here. Don’t see anything you’re into? Zoe Juice Bar makes it super easy to create your own perfect juice for no extra cost. Get all your nutrients in and make everyone happy all at the same time. In a rush? 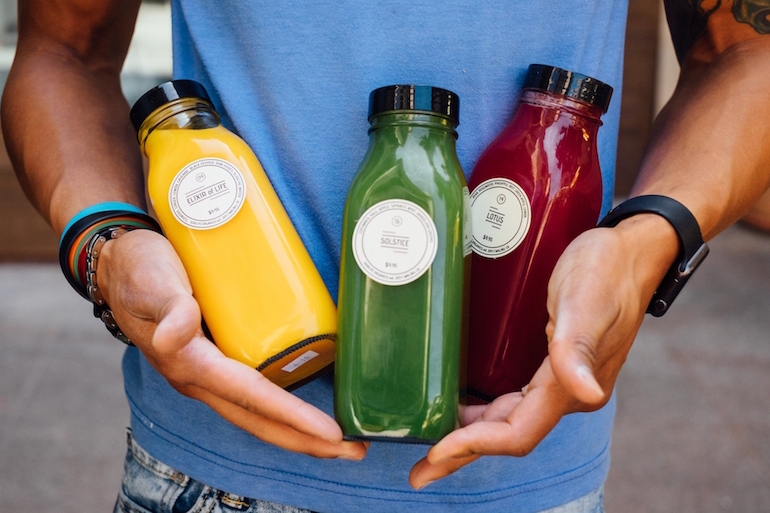 Zoe Juice Bar offers online orders that you can quickly pick up in store when you’re on the go. Beaming’s strives to inspire and empower people to experience greater health, happiness and vitality through the power of nutritious plant-based foods that not only taste amazing but are also incredible for you. 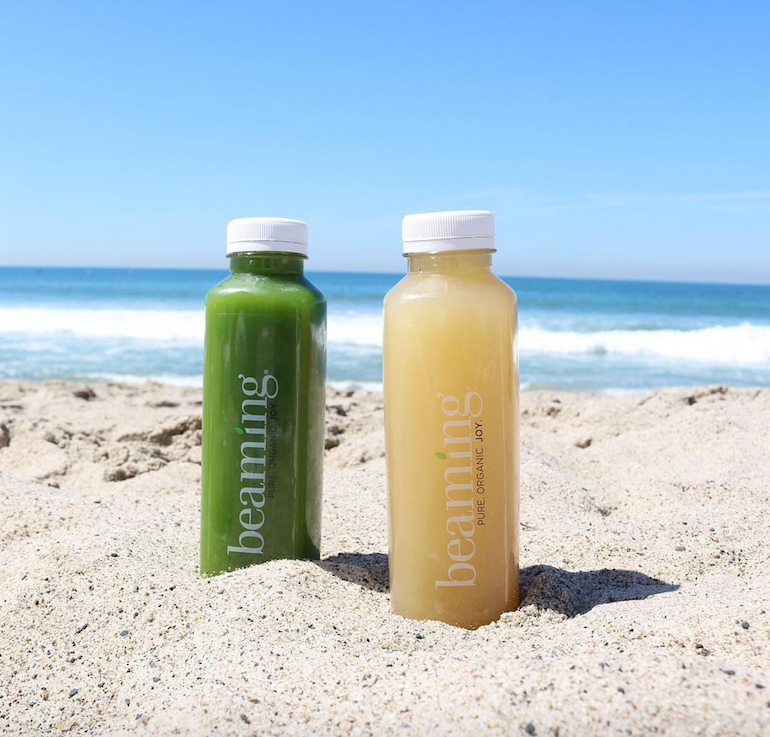 Beaming only uses the freshest on ingredients to create their nutritious cold-pressed juices that each contain three to five pounds of vegetables. At this organic superfood cafe, each of their 16 oz juices is intended to help your body in different ways, from boosting metabolism or detoxifying to improving eye health and anti-aging. 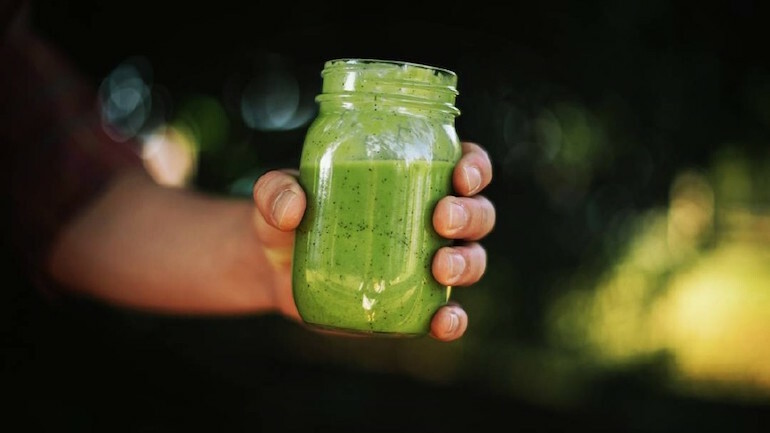 Their Salad Spinner juice is perfect if you’re looking to improve digestion while if you’re looking to boost your energy you’ll want to get your hands on the Beaming Zing. Next time you’re in Malibu you’ve gotta live like the locals and visit Sunlife Organics. Sunlife is on a simple mission to love, heal and inspire. They’re able to do so by creating a sense of community within their store and dedicating themselves to create the most wholesome foods possible. Pick up their Malibu Sunrise, a fresh juice made of orange, strawberry and carrot, or their Green Juice, a wonderful medley of spinach, celery, cucumber, kale and dandelion greens. Alongside their 6 different fresh juices, Sunlife is serving up copious amounts of their signature superfood shake smoothies and acaí bowls. With nine locations throughout California, you’ll never be without reason to get yo juice on. 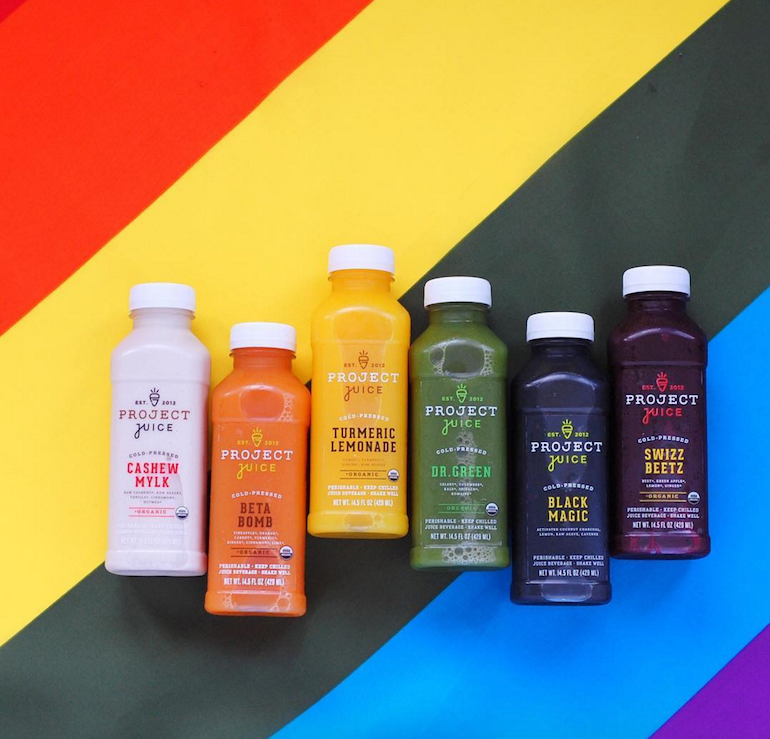 Project Juice began as a project to create the highest quality plant-based foods and cold-pressed juices possible, while still being both convenient and accessible to locals. All of Project Juice’s products are organic and non-GMO. You have got to check out one of their 8 different varieties of green juices. 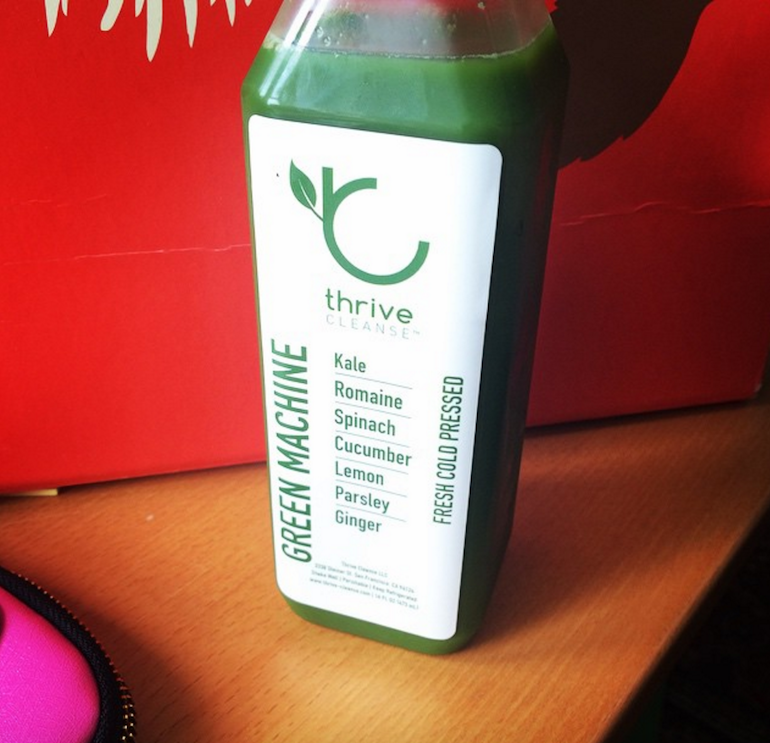 Not a fan of green juice? Project Juice has got you covered – give The Master or Beta-Bomb a try. For those of you craving Project Juice from the East Coast, Project Juice offers fresh overnight delivery nationwide. If you haven’t heard of Pressed Juicery chances are you’re living under a rock. Pressed Juicery’s simple, affordable and oh-so-delicious juices make high nutrition a realistic option for everyone. With 5 different categories of juices, along with a special seasonal juice, you’re bound to find something you love. Grab the Greens 2 juice for a tasty green juice that has the perfect amount of sweetness. Their Citrus 3 juice is the perfect blend of watermelon and mint (that would also be perfect to make a drink with at the end of the night). And to wash down all of their incredible juices, get your hands on their vegan ice cream. #Spoontip: Not on the west coast but still craving Pressed Juicery? You’re in luck as they’ve expanded to the east coast. At Wonderpress, you can trust that your juice is never pasteurized, never pressure processed (HPP) and always served to you in a glass bottle. 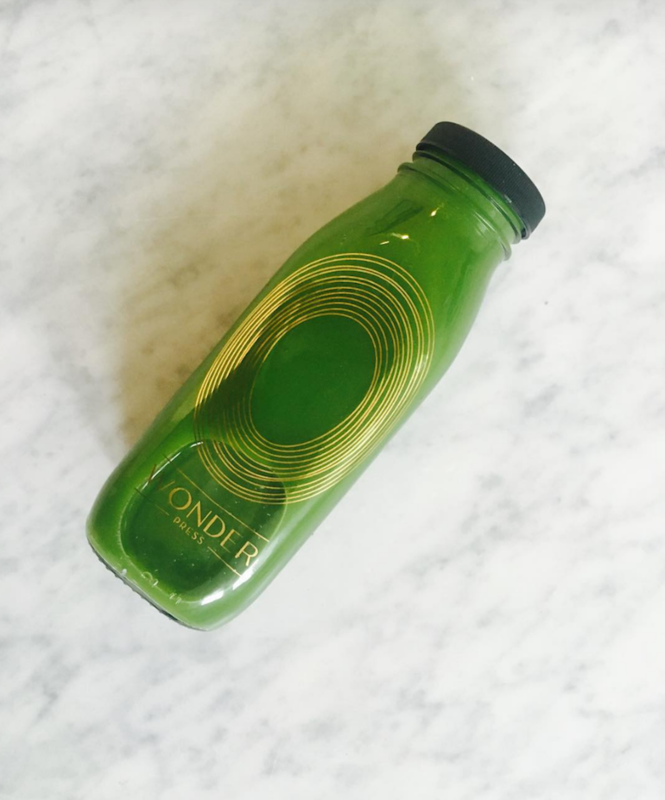 Their cold-pressed juices are made using a hydraulic press which keeps vital nutrients intact by exposing the juice to significantly less oxygen and heat. 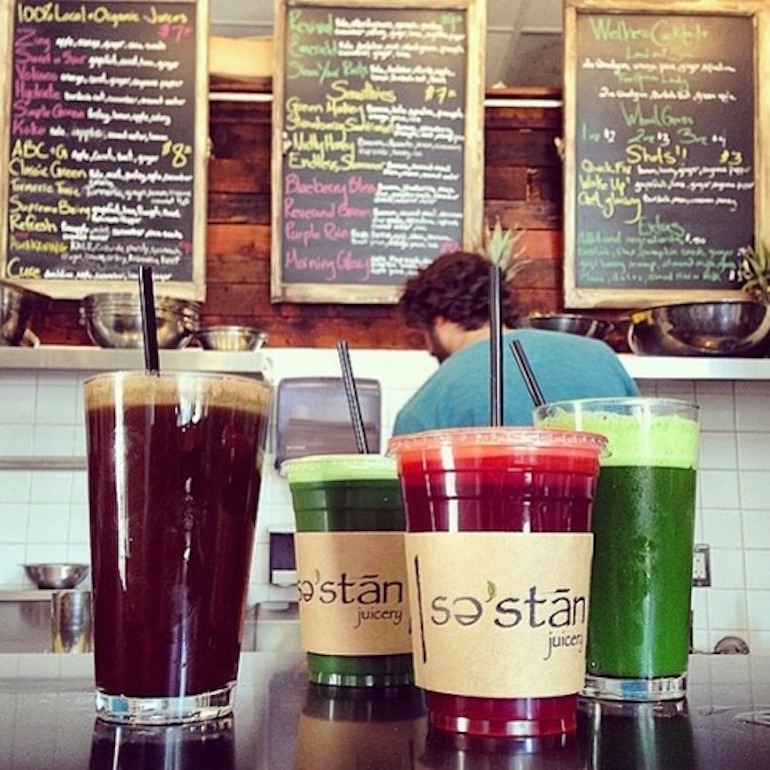 Their fresh juices are divided up into three categories: organic greens, organic roots and organic fruits. 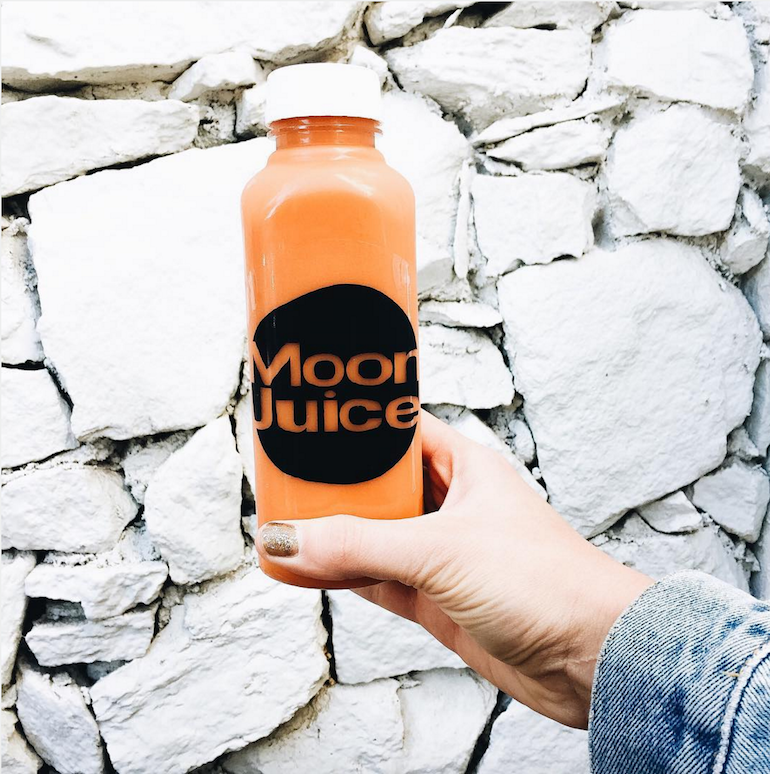 With juices such as Spicy Greens, Yam Cookie and Golden Citrus all having a special place on the menu, you’re bound to find the perfect juice for you. Got milk? Wonderpress even offers eight different flavors of homemade nut milk. #SpoonTip: Put down the artificial strawberry milk and try Wonderpress’ Strawberry Fields- cashews, fresh strawberries and honey. Yum. Verde aspires to affect change in both nutrition and the sustainable food economy. This environmentally-friendly company is saving the earth by serving up their cold pressed juice in compostable cups. They also look to help the local New Mexico community through their Tip Jars for Charity, an employee-run philanthropic activity. Talk about some good people making some good juices. 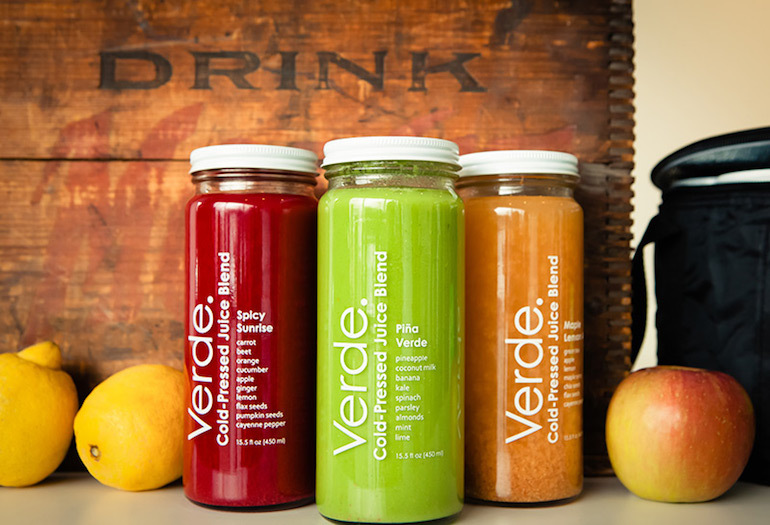 Verde’s cold-pressed juice blends are packed with protein and come in unique flavor combinations like Verde Almond Chai and Spicy Sunrise. They offer both simply cold-pressed and cold-pressed blends so you’re bound to find something you love. Still find yourself craving something sweet? Treat yo self to their avocado cacao pudding. You won’t regret it. When you step into Sustain Juicery you’ll instantly notice what sets them apart from other juice bars – the atmosphere. Sustain Juicery’s intimate organic vibe is unique and unlike any other juicery on the west coast. Almost all juices are made to order, so you can be sure that you’re getting the best of the best. Sustain Juicery changes their menu seasonally so that they can take advantage of whatever fruits and vegetables are ripest. Their Simple Green juice is a light and refreshing blend of apple, parsley, celery and lemon while their Sweet and Sour juice with grapefruit, carrot, lime and ginger is perfect if you’re on the hunt for something totally unique. With 90 percent of their ingredients locally grown in Oregon, Kure strives to offer a sense of balance in the everyday lives of their customers. With six cold-pressed juices, made fresh on site, and another 6 organic juices, you’re bound to go back to Kure again so you can try everything. Not in the mood for a fresh juice? Kure’s menu also boasts a variety of acai bowls, tonic shots and hot drinks. Looking to try something totally new? Get your hands on their Blue Majik: made with cold-pressed cashews, cinnamon, maple syrup, blue algae and filtered H2O. 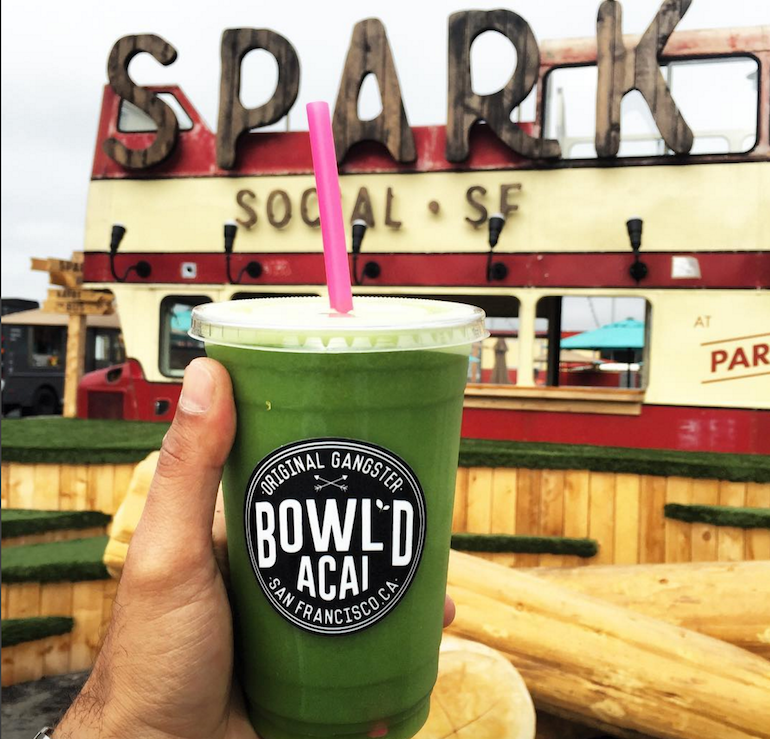 Bowl’d Açaí is serving up fresh juices and açaí on the road in one of their two food trucks in the San Fran area. Their various açaí bowls, smoothies and pressed juices made with the freshest produce to provide your body with essential micronutrients and vitamins. A must try? Bowl’d’s Tiger’s Blood juice. This hand-pressed combination of pomegranate, orange and turmeric is not only delicious but boasts anti-inflammatory benefits. #SpoonTip: Follow Bowl’d Açaí on their social media pages to ensure you know their location at all times of the day. Sometimes it’s hard to get our daily dose of fruits and veggies. Well, that doesn’t have to be hard anymore as all of the juices at Nékter Juice Bar are packed with up to three pounds of fresh fruits and veggies. 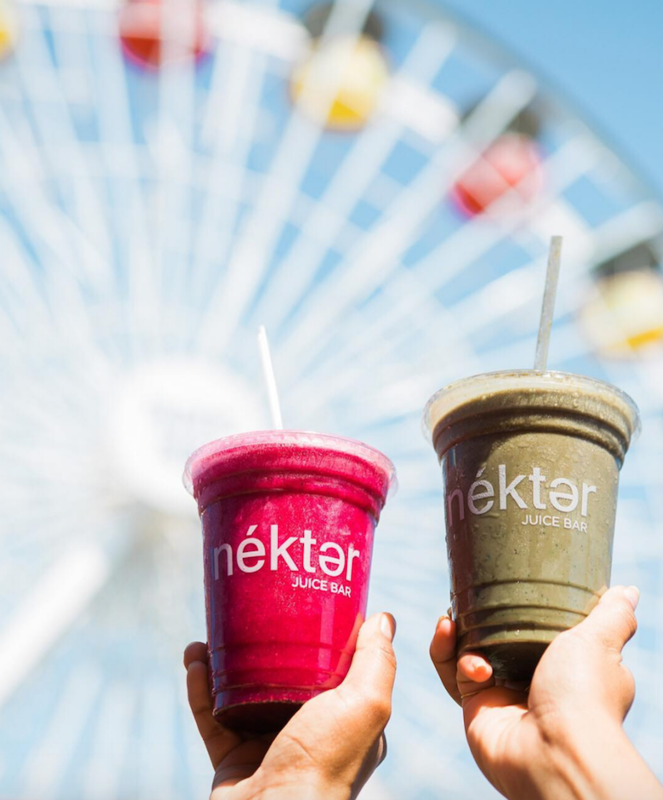 Coming in three different sizes, Nékter’s juices are natural anti-inflammatories, will help you to boost your immunity and glow from within. There’s no question that as college students we’re always on the go. Lucky for us, Nékter has an array of Grab N’ Go cold-pressed bottled juices that are perfect when you’re running low on time. #SpoonTip: Happen to be in Texas? Check out Nékter’s 3 Texas locations. 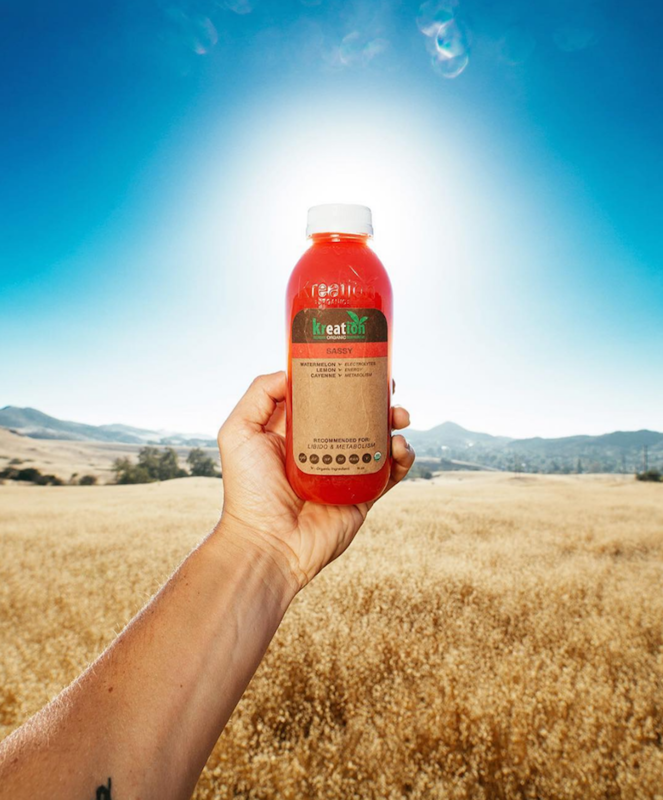 On a quest to create the best product possible, the owners of Jars Juice partnered up with a team of nutritionists to offer their customers a wide variety of both creative and nutritious juices. Their hard work paid off as Jars Juice has a menu that boasts many great choices all packed with flavor. To help you find the perfect juice (or smoothie) to satisfy whatever craving you may have, Jars Juice created a one-of-a-kind interactive ordering system called Jarvis. Jarvis will guide and help you pick out the best juice for your body. When at Jars Juice, you’re gonna want to get your hands on the Carrot Freckles, which contains chia, orange, pineapple and carrot. Thrive is a go-to spot in San Fran for those who love juice bars. Their atmosphere is incredible, as you can sit on their cozy couches while sipping on one of their 15 different cold-pressed juices or nut milk’s. Their Colada Greens juice is totally unique – a perfect cold-pressed blend of collard greens, spinach, cucumber, pear, lime and coconut water. Feeling under the weather? You have to get your hands on one of their immuno-boosters. Thrive’s six different cleanse packages are super popular and definitely worth checking out. Their reboot cleanse is perfect for anyone looking to give their body a break to reboot and reset.